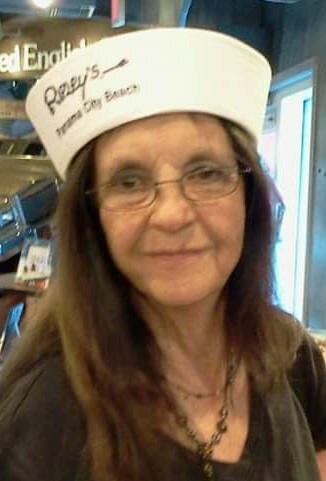 Sylacauga, AL - Memorial service for Peggy "Elvira" Davison, 70, will be at a later date at Trinity Assembly of God. Mrs. Davison died Wednesday, February 6, 2019 at Coosa Valley Medical Center. She was preceded in death by her husband, Charles Lamar Davison; parents, Carl and Mary Thweatt; sister, Mary Lee Heart; sister, Margie McElwee; brother, Carl Richard Thweatt, Jr.; brother, Ricky Thweatt. She is survived by two daughters, Susan (Kerry) Pace, Joy (William) Salters; son, Phillip (Debby) Davison; six grandchildren; four great-grandchildren; two brothers, Johnny Richard Thweatt, James Donald Thweatt; numerous nieces and nephews. Visitation will be Friday, February 8, 2019 from 5:00 pm until 8:00 pm at Radney-Smith Funeral Home.